*UPDATE* RIM seems to have corrected the problem. It may have been only a North American issue? However, it lasted for at least 6hrs early in the morning. 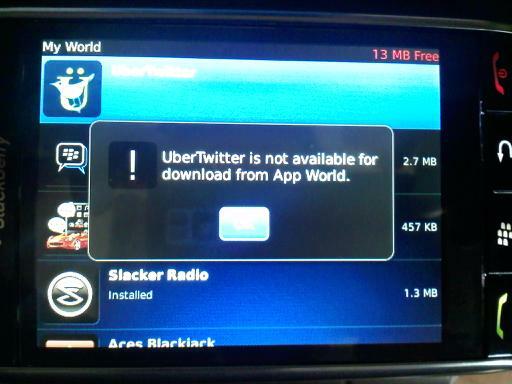 We just got a heads up that BlackBerry App World will not let you download any applications?! We tested it out for ourselves and experienced the same problem. We’re running on Verizon network and have tested it on AT&T, so we don’t think this problem is network specific. 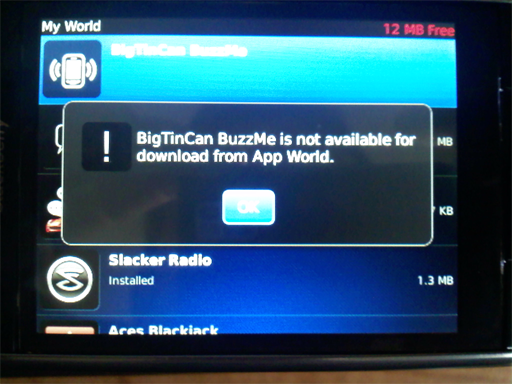 Hopefully RIM will be able to fix this ASAP. Are you experiencing problems too? Let us know if you are or aren’t! BIG thanks goes out to Dave!